Abu Abbas was a throwback to an earlier generation of Palestinian fighters, who carried out spectacular acts of hijacking around the world to draw attention to their cause. 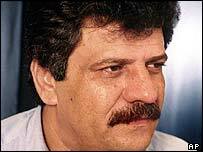 His capture in Baghdad in April 2003 was used by the United States as evidence that Iraq had been harbouring international terrorists, and his detention an example to others in the post-11 September, post-Saddam climate. Turning a blind eye to anyone who has a record like his - and his group did murder an elderly, disabled man - was not an option for a US administration. But he was not quite the big catch in the the Americans were seeking for their "war on terror". Abbas' arrest was not the link between Iraq and al-Qaeda that Washington had been seeking to establish. He came from a different era. He ended up in Baghdad because there was nowhere else for this aging militant or terrorist leader to go. He and his kind have been partly overtaken by the new zealots from al-Qaeda, Hamas and Islamic Jihad, who are motivated by religion as well as nationalism. Even Israel allowed him in and out of Gaza a few years ago as it accepted that he had given up violence and was supporting the Oslo peace process. Israel could not prosecute him under the terms of the Oslo accords anyway. Another Palestinian, Abu Nidal, the most famous in his day for acts of extremist violence and a man who rejected any settlement with Israel, also ended up in Baghdad. He was found shot dead there in 2002, though whether by his own hand, as the Iraqis suggested, or at the hands of the Iraqis themselves for some reason was never clear. Abu Abbas was from a time when the West Bank and Gaza were wholly under Israeli control and Palestinians could not carry out attacks inside Israel very easily. Instead they resorted to action internationally or across the Israeli borders. The Palestine Liberation Front which Abbas led was a little known faction even at the time. But it was often quite daring. It once used hang gliders to get into Israel from Lebanon. Its most notorious action, the hijacking of the liner Achille Lauro in the Mediterranean in 1985, is now mainly remembered for the murder of Leon Klinghoffer, an elderly, disabled New York Jew. He was shot in his wheelchair and thrown overboard. Abu Abbas made an apology of sorts later, saying that the shooting had been a "mistake". 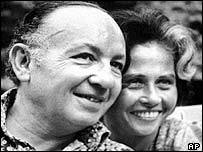 Leon Klinghoffer's family never accepted that statement as genuine. Abbas told the Boston Globe in 1998 that Klinghoffer was "inciting and provoking the other passengers. So the decision was made to kill him." The murder did great damage to the Palestinian cause internationally and was one of the events which eventually drove the Palestinians to change their tactics and open talks with Israel about a two state solution. His death in US custody removes the difficult question of what should be done about him. There had been speculation he would be sent for justice in Italy, where he was sentenced to five life terms in absentia. The Italians had let him go when US fighter planes forced down an Egyptian aircraft in which he was travelling after the hijack ended. They were forced to make amends after widespread protests. The days of those kinds of quiet releases by governments seeking to avoid holding onto inconvenient prisoners are long passed. "Wanted by both US and Italian authorities"